Huis Ten Bosch is designed by according to the "Palace Huis Ten Bosch" which is the queen of Netherland's home with permission of queen. This place is locating in Sasebo city in Nagasaki. 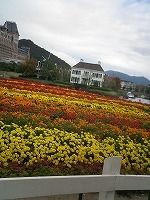 "Huis Ten Bosch" means "House in the woods" in English. 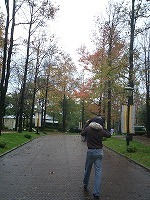 This resort area is built by concept of "life style with nature". According to the Netherland's environmental architect, they replaced every soil of this area, planted over 400,000 trees and made canal around this area and pulled seawater. 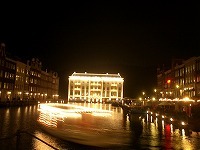 Spending about 5 years completed Huis Ten Bosch. 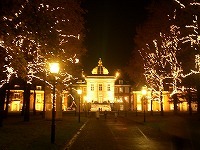 This page is introducing you about Huis Ten Bosh when I visit there last time. 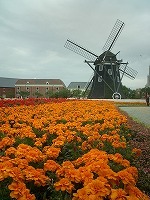 If you entered this resort area, you'll feel the Netherland's atmosphere completely different from Japanese town. Not only buildings, there are also thousands of flowers were planted everywhere, and they are always renewing and show us a fresh image and different faces. 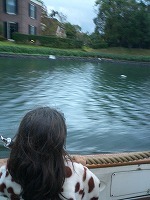 There are free boat running in the artificial canal around this area and you can use it for the transportation too. 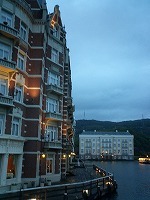 After the sunset, gradually turned on the road lamps and town will change to the romantic mood. We visited this place in Christmas season. 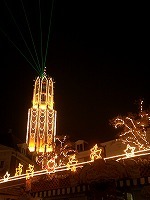 A million of illuminations are decorated everywhere, and there are many customers gathered to see this amazing view. 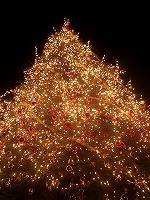 This year, Huis Ten Bosch placed 12 Christmas trees inside the town, and they decorated illuminations beautifully. At the Finale, they started fireworks and laser show on the seaside. It's difficult to see on this picture, but you can see green laser from the prospects tower. 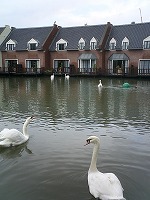 In the morning we stayed in lakeside cottage, and there were swans on the lake. There were no people walking inside the town, until the opening time will come. 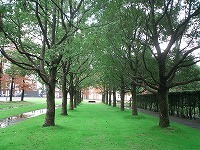 It is really comfortable when you wake up little bit earlier and take a walk with silent Huis Ten Bosch. Left hand side shows imitated garden of real Palace Huis Ten Bosch design. 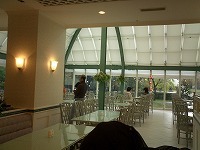 And right hand side picture shows restaurant, which we took a break fast in the morning. You can enjoy break fast with buffet style. 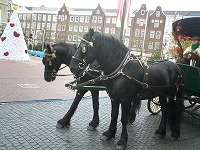 There are many events and attractions, and you can feel such an real Netherland's atmosphere in Huis Ten Bosch. This place is good for staying with family in cottage, and also nice for the couple with romantic mood. I strongly recommend you to visit once!